Why pay lots of money on your electricity bill when you can take your power from your own DIY solar panels – at least in part? Not only can you make your solar panels at home, but you can also create an entire solar system for half the price of panels you would buy in the store. The system we propose to you today is made mostly from materials you can buy locally in your DIY shop. Evidently, you will have to go online for some materials, but you will easily find what we’re suggesting. There has never been a better time to harvest the sun and get your electricity for free. 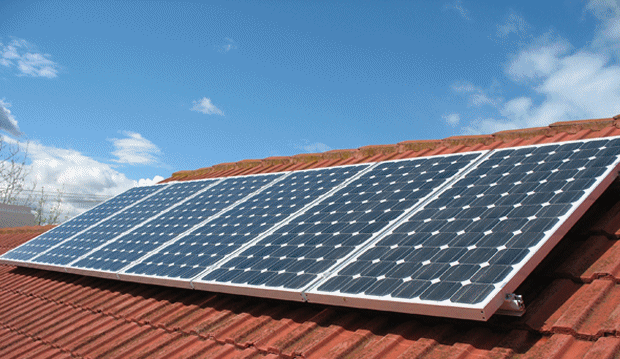 At the moment, one of the best solutions to expensive electric bills is to own a cheap solar panel system. And it’s encouraging to see that solar cells are becoming cheaper each year. You could pay up to $10,000 for a store bought installation and recover the costs in just over 10 years, but it’s even cheaper and better to build one yourself. We live uncertain times and most of us carefully analyze every cent we take from the bank. In the post-2008 times, the lack of financial stability has given us enough reason for extra caution in terms of saving what we have, including energy. Each one of us has thought at least once about the possibility of having our own solar panels mounted on the houses’ rooftop. Solar cells have advanced enough for you to buy some cheap ones that do their job well. As far as the good types go, you can choose the Chinese ones, with the best price, good results, but not guaranteeing much. There are also the Japanese ones, offering the guarantee of Japanese work, good performance, and a good price. Last but not least, you can buy American solar cells, with the highest price, the best performance, and some more quality guarantees. The choice is yours because it depends to your budget. For example, the rule of thumb in 2012 was that the cells shouldn’t sell for more than $1.3 per watt. After you buy a couple of cells that will fit your solar panel system’s preferences and budget, move on to step #2. 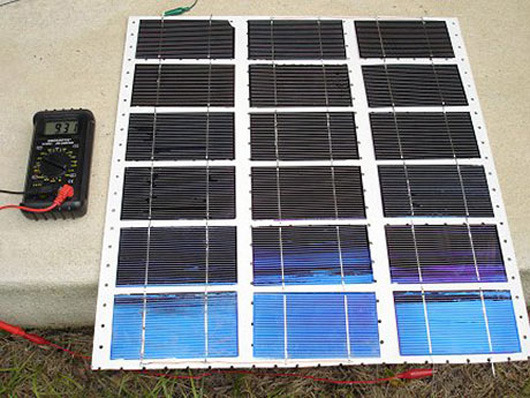 Place the square solar cells you bought onto the wooden board and arrange them to create your solar panel. Then, carefully draw separating lines, knowing that you’re already halfway through. Preparation is almost as important as the building itself. Now that you have planned the physical arrangement of the solar cells on the wooden board, it’s time to solder the wires to the solar cells. When that’s done, solder the solar cells to each other. First, you should link the cells in series. The same basic rule applies as if you were soldering batteries: Solder the positive lead to the negative lead of the next cell. Repeat this step for as many cells as you need to reach a voltage of 12 or 24 volts. Warning: Make sure you don’t exceed these specific voltages; otherwise, you enter the area of dangerous voltages. You do need to generate enough power, but you’re not trying to electrocute yourself to death, so be careful. Next step is sticking the cells to the board – also with care. To make your job easier, create a frame where you can insert the cells individually. This also allows you easily replace the defective ones. Before sticking all the cells in the right place, drill individual holes for the wires. Create connection buses along the positive and the negative lead and then connect those buses (thicker wires) in parallel (plus to plus, minus to minus). The result will be a parallel connection that increases the amperage. This is the hardest part of building the DIY solar panels, which is why you should employ increased care and seriousness. The quality of the work done is highly dependent on this step, which is connecting the panel to a pack of batteries and then to an inverter. You could use a computer UPS (Uninterruptible Power Source), but that won’t generate enough power to sustain your entire home. The good news is that you don’t need new batteries. Even though you could use the lead-acid type, we advise you to buy specially crafted ones for deep cycle use and power storage. Car batteries can only cope with short and powerful loads, and if they become discharged below a certain threshold, you will lose them. Believe it or not, you just created your first functional solar panel system! Take it outside on a sunny day to see how much power it generates. First, measure the voltage and the short-circuit amperage with the multimeter. Tip: Make sure your ammeter bears the solar cells’ nominal power (108W at 12V means 9 amps). If you succeeded in completing these 6 steps, you can order more solar cells until you reach the power you need to cover in your system. Remember, if you want more power, you’re going to need a larger inverter.